Listed below are the 7 programs which could benefit from an EITC contribution to the Upper Darby Arts & Education Foundation. Please take a moment to review this opportunity with your company’s tax adviser! 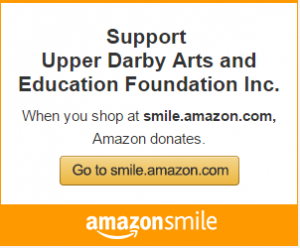 The Upper Darby Arts and Education Foundation is partnering with the Upper Darby School District to infuse technology into the teaching of Reading in Grades K-2 with the goal of ensuring that all students learn to read by the end of 1st grade. Technology is essential for making the components of the School District’s reading program effective for a wide array of students. The infusion of numerous electronic resources will provide students with the ability to project and manipulate concepts and provide them with the opportunity for deeper and more engaging practices. These new tools will allow teachers to provide a multi-sensory approach that addresses the learning styles of all students, especially true in the area of vocabulary development. The Upper Darby School District serves an increasingly diverse population of more than 80 different languages and over 60% of students meeting low-income status set by the Federal Free/Reduced Lunch Program. Reading is essential for life-long success and all of our students deserve to have the very best tools available to guarantee their academic success! The Brad Schoener MusicMan Camp was made possible by a grant from Phillies Charities, Inc. in 2013. This two-week summer program, held at Beverly Hills Middle School in Drexel Hill, offers ‘hands-on’ instrumental music experiences for the children of Upper Darby grades 4-9. Young musicians are able to begin a new instrument or work on mastering skills of their current instrument, while exploring rhythm, melody, harmony, improvisation, and performance. Children are able to work with professional musicians in drum circles, SmartMusic software and iPad technology classes, improvisation workshops with live musicians, discover harmonies thru ukuleles and keyboards, and even incorporate music composition with movement. Corporate contributions can support instrument rentals/purchases, camp and lesson scholarships, guest musicians, and additional staffing as the camp is growing each year! A great way to support the young musicians of Upper Darby! The Upper Darby Arts & Education Foundation is partnering with the Upper Darby School District to establish a formal Artist in Residence Program. Over the past 10 years, numerous Foundation mini-grants have supported resident and visiting authors and performers in district schools. Examples, to date, have included: Sharon Katz (South African guitarist, singer and composer) and the Peace Train at Beverly Hills Middle School, David Schwartz, math author and storyteller at Aronimink Elementary School, the West Chester Percussion Ensemble at the K Center, young adult author Diana Rodriguez Wallach at Upper Darby High School and pianist Andre Watts at the High School and Upper Darby Performing Arts Center. In addition, the Performing Arts Center has contracted with many visiting artists to include school performances and workshops. These have included professional children’s theater, dance and music events. Building on these successes, the Foundation is creating an ongoing structure and source of funding dedicated to promoting and funding artists in residence in the district’s 14 schools. Tax credit contributions will become a key component in supporting this initiative. The program will target a wide range of artists including composers, authors, dancers, musicians and visual artists. The Foundation would like to take advantage of the resources offered by The Kennedy Center, The National Endowment for the Arts, the Pennsylvania Council on the Arts and regional performing and visual arts organizations. Tax credit contributions will enable the Foundation to provide the matching funds that are necessary for these programs. The Upper Darby Performing Arts Center adds an important dimension to the district’s arts program by making professional artists available for public performances. Adding an educational component to these events would greatly enhance the experience of our students. Royal Assault is a competitive FIRST Robotics student team from Upper Darby High School that has competed all over the United States, from Pittsburgh, PA to Houston, Texas. The team, which began in 2000, is a year round team, not only focusing on FIRST Robotics events, but incorporating community service projects and challenging educational opportunities. Teachers and administrative staff in the district serve as adult mentors for the Team. Three years ago, a group of students from the Royal Assault Team were awarded the Lemelson-MIT InvenTeam grant. Their invention, an omni-directional mecanum wheel driven wheelchair, was designed to solve the mobility problems faced every day by disabled people. The wheelchair prototype has attracted significant attention from the grantor and from companies interested in its design. Each year, the Robotics Team attracts over 30 high school students interested in engineering, marketing, communications and related fields. From January through March the students work on a robot for the FIRST Robotics competition, which begins at the regional level and extends to the national level. Over the past eight years, the Team has developed a strong partnership with Drexel University, which further enhances the educational value of this program. Building on the success of the Robotics Team, the High School has added an academic course in its Computer Science Department called Robotics Programming. The course is designed to incorporate robot design and programming using the LEGO Mindstorms, LEGO NXT, and VEX systems. Students explore the limitations of robot design, i.e. mechanical physics, torque and gear ratios, and focus on programming robots to accomplish set design challenges. The course uses the Easy C language and explores the application of sensors such as touch, rotational, optical and ultrasonic. Students also write and test code for autonomous programming of a robot. Funding from tax credit donations will support the Robotics Team and the Robotics Programming Course that stimulate and reward student creativity and hard work. Upper Darby High School seniors have the opportunity to experience college while still in high school through the Dual Enrollment Program. This program allows qualified students to take a wide range of college courses at Delaware County Community College and have the credits transcripted at both the college and the high school. Students must be capable of college-level work as determined by a college placement test given by DCCC. One goal of the program is to encourage students with average academic records to see that they are able to succeed at the college level. A recent participant reported: ” I am learning what college expectations are, especially regarding deadlines and homework.” Another student shared her positive experiences taking Psychology and Principles of Advertising courses. She especially valued the experience of being independent and knowing that the responsibility for completing assignments and coursework was totally on her. She felt that the workload was significant but she learned to manage it. Over the past five years of the Dual Enrollment Program several sources of funding have been utilized to make this possible for students: the PA Department of Education Dual Enrollment Grant, the Project 720 Grant and family/student co-pays. As some grant funds go away or decrease, the Foundation is interested in helping keep finances from being a barrier to participation. Tax credit funds would be a welcome partner in sustaining the availability of this program for eligible students. Upper Darby High School has a long history of offering Advanced Placement courses and having its students succeed in taking the AP courses. The High School offers Advanced Placement courses including Math, English, Biology, Physics, Chemistry, Government and Politics, US History, European History, Calculus, French, Spanish, German and Art. The Upper Darby Arts & Education Foundation has made grants that benefit these advanced academic courses. For example, the Foundation made a grant award to purchase advanced laboratory equipment for the Physics lab, which benefits all students taking Physics, including those taking the AP courses. Tax credit funds will allow the Foundation to significantly expand its support of the High School’s Advanced Placement program. The funds will support the purchase of instructional materials that enhance the existing programs, especially in the subject areas of Biology, Physics, Chemistry and Art. In addition, the funds will support advanced professional development for teachers in the AP program so that they may continue to be on the forefront of instruction in their respective fields. Upper Darby High School offers a strong, advanced academic Engineering curriculum. The Engineering curriculum includes the following six courses: Drafting and Design, Architectural Drafting and Design 1 and 2, Computer Assisted Drawing (CAD), and Engineering Drawing and Design 1 and 2. In the Engineering Drawing and Design courses students learn drafting and problem solving techniques used in engineering and manufacturing. Units include sketching, multi-view drawing, pictorial drawing, sections, pattern development, auxiliary views, electronics, structures, fasteners, 2D CAD using AutoCAD and 3D Solid Modeling using Inventor. Problem solving activities include environmental crisis management, product design, bridge design and construction, the Straw Tower Challenge and the Widener University design competition. Engineering Drawing and Design 1 and CAD are both articulated with Delaware County Community College (DCCC) where, with successful completion of the courses, college credits are awarded by DCCC. The Engineering program would benefit greatly from the Foundation’s participation in the Tax Credit program. Additional resources will be used to enhance the curriculum and keep pace with the rapid technological developments in this field. In addition to the course work, for over 15 years, the Upper Darby Engineering program also has engaged in a partnership with Boeing Helicopter in Ridley Township. The Boeing/Upper Darby Partnership exposes students to real world engineering and manufacturing. Students travel to Boeing Philadelphia and spend their morning at the factory and are taught by the professionals themselves. Students walk inside the wind tunnel, see flight simulators, and observe the CH47 helicopter assembly line. Students are trained in aircraft assembly techniques and quality assurance procedures from the assemblers. Students see the V22 Tilt Rotor being built and visit the world class composites facility. Concepts such as LEAN manufacturing, cost containment, waste handling, product design, product flow, factory layout and location, and many others enter into the student’s minds and vocabulary. Students visit all the factory areas and develop a relationship with engineers, technicians, and factory workers. At the end of the program students form teams and must present a factory of the future of their own design that will manufacture a product they choose. Students must also explain and defend their factory layout and product decisions to Boeing engineers and school district staff in what we affectionately call “the grill session.” Years after graduation, engineering students remember the program and value the skills and attitudes learned from it. Hundreds of students that are now professional engineers or technicians have stated that the program gave them an edge and motivation in the pursuit of their careers.